Hey folks! I’m spending the weekend catching up on homework (did I mention I’m back in school yet? ), blog work, and last-minute summer fun! 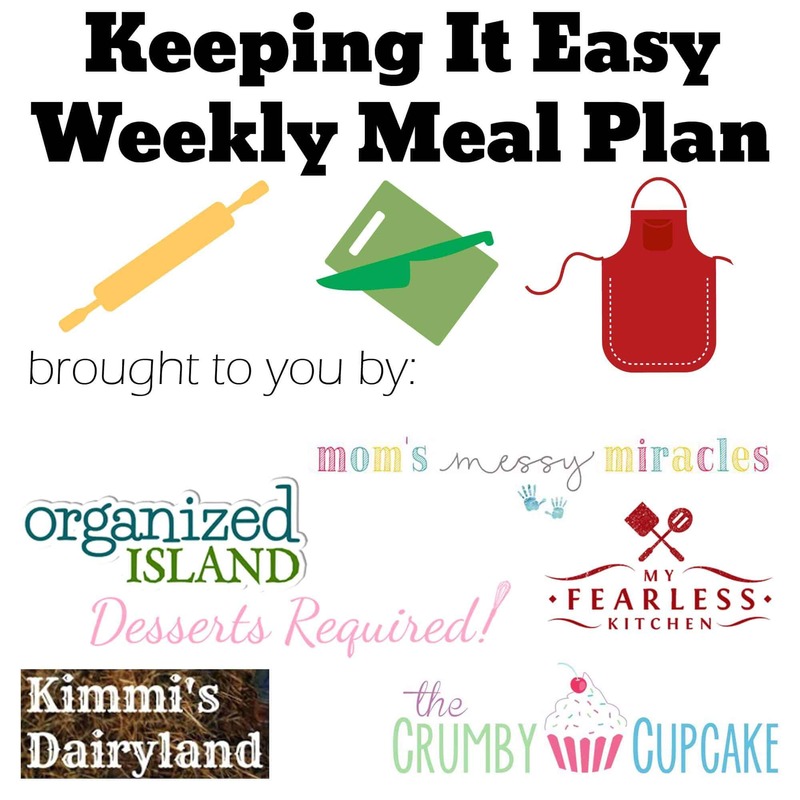 We’re back at it with another Keeping It Easy Weekly Meal Plan Week 34! Hard to believe the year is almost 3/4 of the way over – it’s almost September! Time for pumpkins and all things fall, and I – for one – can’t wait! 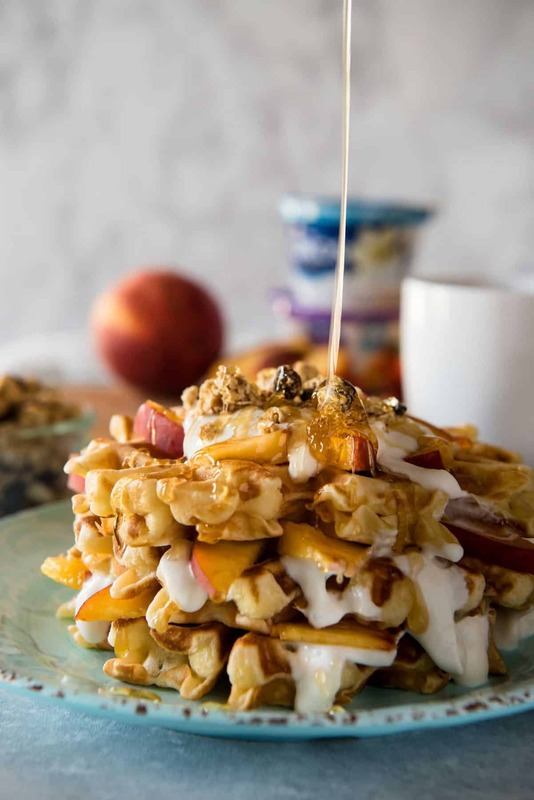 Treat your family to an end-of-summer breakfast treat – Peach Cobbler Waffles with Honeyed Yogurt from The Crumby Kitchen! Tasty buttermilk waffles sweetened naturally with fresh peaches and yogurt are going to be at the top of your family’s most requested list! 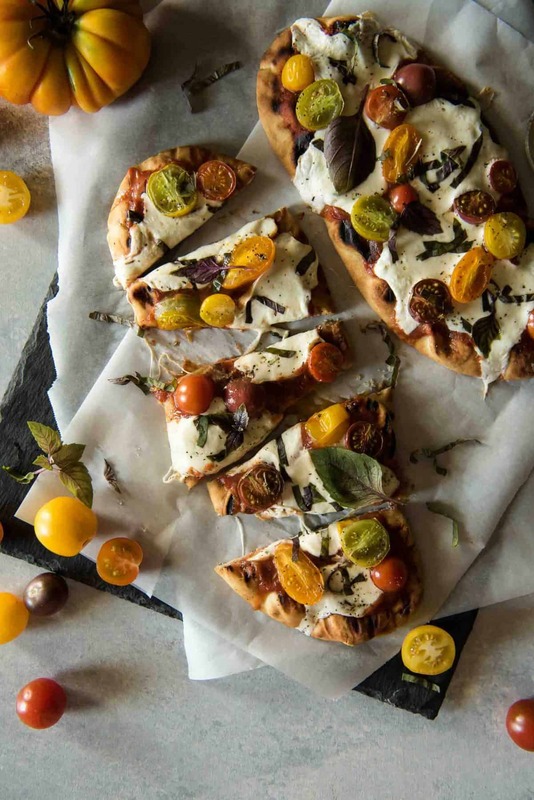 Meatless Mondays are perfect for this Grilled Margherita Flatbread from The Crumby Kitchen – Quick & easy, and all the delicious pizza taste you want with much less work. Thank goodness for My Fearless Kitchen! 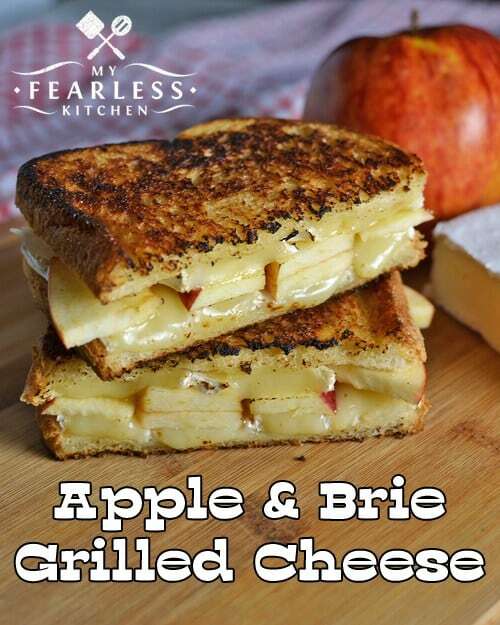 I’m in LOVE with this Apple & Brie Grilled Cheese, and with fall incoming, it’s the perfect mid-week dinner. Pasta or subs? 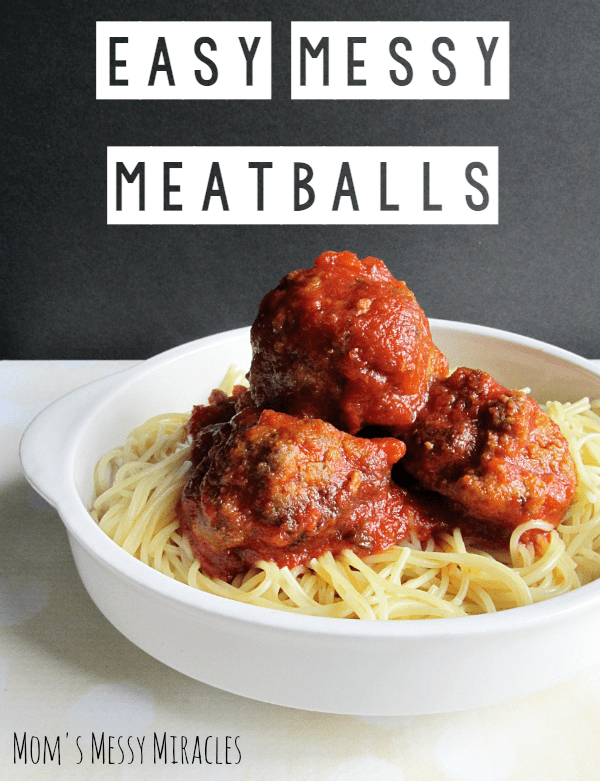 These Easy Messy Meatballs from The Shirley Journey will be fabulous for dinner tonight, and can easily be tomorrow’s lunch, too! 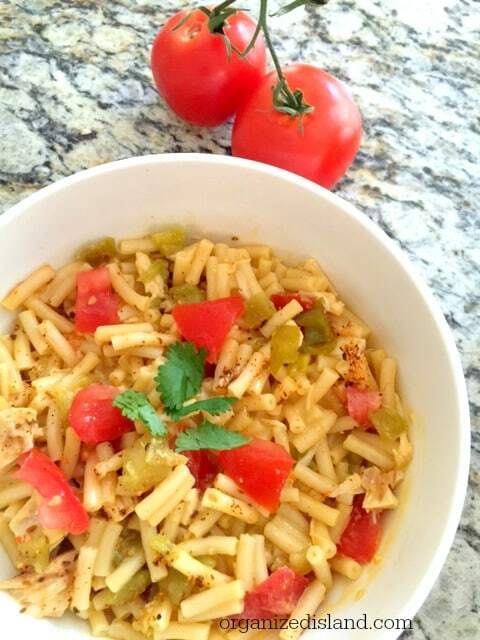 Whip up this comforting Southwestern Mac & Cheese from Organized Island tonight! 20-minute meals that taste as good as the ones that take hours are the best! Who doesn’t love an easy Friday night dinner? 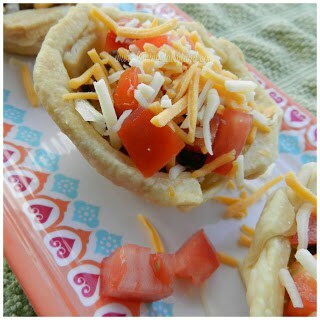 Kimmi’s Dairyland’s Mini Taco Pies are the best way to get your weekend started early! 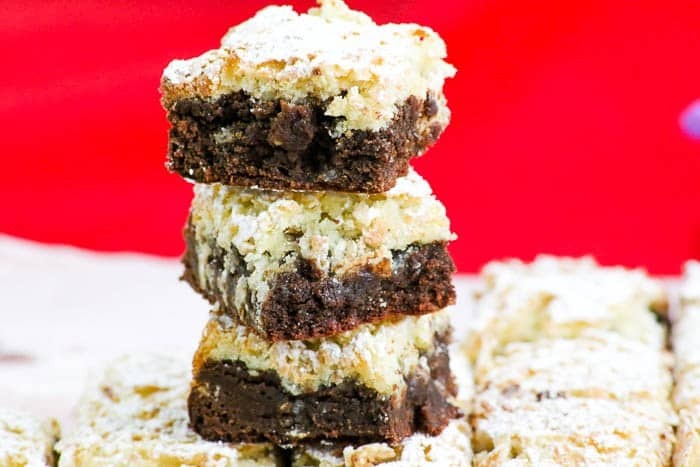 These super chocolatey, tropical-kissed Chocolate Coconut Brownies from Desserts Required are absolutely amazing in every single way!